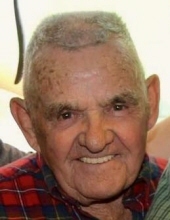 Fred A. Spiller was born on February 28, 1931 in Ripley, Ohio to the late William J. and Alma (nee Klump) Spiller and passed away on February 6, 2019 in Bethel, Ohio at the age of 87. In addition to his parents, Fred was preceded in death by his siblings, Jeanette and Charles Spiller and his former wives, Julia (nee Hanke) Spiller and Thelma (nee Jones) Spiller. Fred is survived by his children, Kim (Jerry) Madigan, Karla (Robert) Parker and Greg (Susan) Spiller; step-daughter, Brenda Lee (Scott) Mantooth. Papaw of Julianne, Kelly, Mike, Luke, Nathan, Rachel, Deanna and Avery. Also survived by 10 great-grandchildren and his siblings, Dorothy Ernst, Charlotte Thompson, John, Paul, Bob and Jim Spiller. Fred was retired from the Container Corp. and a resident of Bethel. Fred was also a U.S. Army Veteran. Visitation will be held at St. Mary Church, 3398 St. Rt. 125, Bethel, on Saturday, February 9, 2019 at 9:30 AM, with Mass of Christian Burial at 11:00 AM. Burial to follow at Tate Township Cemetery, Bethel, with military honors. Memorials may be made to St. Mary Church. E.C. Nurre Funeral Home serving the family. "Email Address" would like to share the life celebration of Fred A. Spiller. Click on the "link" to go to share a favorite memory or leave a condolence message for the family.